By far your best source of new business will be through referrals from existing clients. 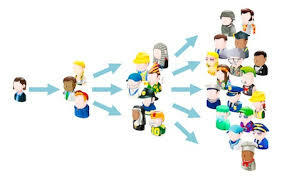 But to get your clients to refer you to their friends and colleagues is not easy. Either you will need to be really good at what you do, or your hourly rate will need to be low, or you’ll have a large network of friends and contacts. But if you want referrals, your service will have to be really good! You will also need to learn how to ask your existing clients to refer you to people they know. It might not be a natural skill, so practice how you will raise this aspect with clients.